Tucked into Cattail Creek Place in Northeast Raleigh, NC, Falls Creek Apartments & Townhomes offers quiet and well-appointed living close to downtown and the conveniences and attractions you want on your doorstep. With nearby access to I-540, US-401 and Capital Boulevard, it’s a quick trip to Wake Medical Center or Raleigh-Durham International Airport. Wyldwood Forest Elementary, Heritage Middle School, and Wakefield High School are close by, while North Carolina State University is less than a half hour away. Work, school, and play are close to home. Find every kind of fun, and all the things you need, right in the neighborhood. There’s a world of fun to be had at Galaxy Fun Park, and miles of trails to run at Durant Nature Preserve. Shop for your closet or your home at Triangle Town Center. Grab a delicious bite at Lemongrass Thai Restaurant or a margarita and a spicy plate at Chuys. 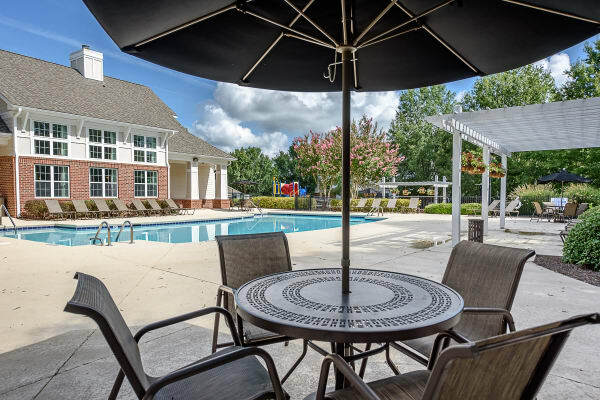 Whatever your mood or appetite, there’s a delightful solution steps from your door at Falls Creek Apartments & Townhomes in northeast Raleigh, NC. To learn more about pet-friendly living in Raleigh, NC, contact our friendly team at Falls Creek Apartments & Townhomes today.